The Regina Pats (16-18-3-0) return to home ice on Thursday night for the back half of a home and home with the Brandon Wheat Kings (25-8-0-1). Puck drop is at 7:00 p.m. at the Brandt Centre. The Pats dropped their first game back from the Christmas break on Wednesday night, 5-3 in Brandon. Tonight is the sixth of eight meetings between the two clubs in 2017-18, The Pats hold a 2-3-0-0 record so far in the season series. The game can be heard starting at 6:35 with Bennett Dunlop Ford Pats Hockey on 620 CKRM. 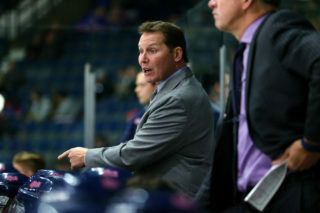 The Regina Pats returned from the Christmas break on Wednesday night in Brandon and fell 5-3 to the Wheat Kings. The two clubs traded goals in the first, Regina getting a marker from Robbie Holmes, his eighth and it was 1-1 after one. In the second, Logan Nijhoff scored his first career goal to give Regina the 2-1 advantage but the Wheat Kings would respond and it was 2-2 after 40 minutes. In the third, Brandon went ahead 3-2 but Robbie Holmes would score on the powerplay for his second of the night to make it 3-3. 30 seconds later however, Evan Weinger scored on a two on one and Brandon had the lead back at 4-3. The Wheat Kings added another late to take the game, 5-3 the final score. Tonight is the sixth of eight meetings between the Pats and Wheat Kings with Regina holding a 2-3-0-0 record through the first five. The home team has won every matchup so far this season. Dawson Davidson leads the Pats with a goal and four assists in the season series while Matt Bradley and Emil Oksanen each have four points. The Wheat Kings Ty Lewis leads the club with 11 points against Regina. Stelio Mattheos has put up 10 points and Tanner Kaspick eight points. 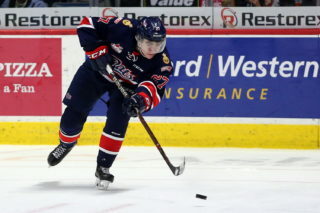 Pats 16-year-old forward Logan Nijhoff scored his first career WHL goal on Wednesday night in Brandon. Nijhoff, an eighth round pick in 2016, was called-up to Regina from the Okanagan Hockey Academy when Sam Steel and Josh Mahura left for World Juniors Selection Camp. The Comox, B.C. product has 13 goals and 22 points in 17 games with OHA so far in 2017-18. 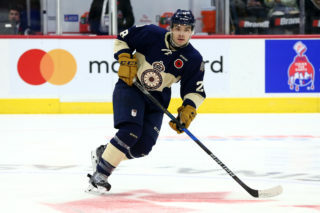 Nijhoff has appeared in seven games this year with the Pats. 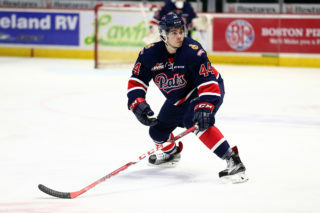 The Pats acquired 19-year-old forward Jared Legien from the Victoria Royals on Wednesday afternoon. 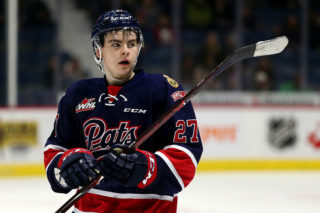 In exchange the Pats sent forward Braydon Buziak and a conditional 7th round pick in 2018 to the Royals. Legien, a product of Pilot Butte, is enjoying a career year with 13 goals and 30 points in 33 games this season.